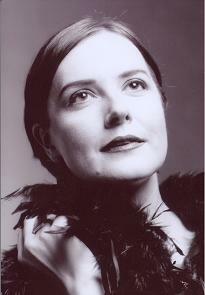 Eva Lindqvist, opera singer and vocal technician. Eva Lindqvist initially studied piano (performance and pedagogy) at the Vienna University of Music, graduated with a "magister atrium" (masters of arts)and shortly thereafter, obtained a teaching assignment at the department for keyboard instruments of the University of Music and Performing Arts Vienna before starting a career as an opera singer. She received her vocal education in opera singing from Tamar Rachum at the Rubin Music Academy/Tel Aviv. Master classes with Hilde Zadek, Sena Jurinac and Ileana Cotrubas as well as intensive studies of the Swedish-Italian vocal technique with Maestro David Jones in New York completed her education. Eva Lindqvist performed in operas, concerts and productions all over Europe and in Israel. In Israel she sang the part of "Elektra" in Mozart’s "Idomeneo" as well as in Strauss' "Elektra". In Karlsruhe, Germany she took the role of Freia in Wagner’s "Rheingold". She sang the part of Brünnhilde in the "Götterdämmerung" under Maestro Gustav Kuhn. Her repertoire predominantly includes Wagner roles, among those: Freia ("Rheingold"), Elisabeth ("Tannhäuser"), Sieglinde ("Walküre"), Ortrud ("Lohengrin") and Brünnhilde ("Götterdämmerung") as well as works by Alban Berg (Marie from Wozzeck), Puccini (Turandot) and Richard Strauss; Strauss’s Ariadne (Ariadne auf Naxos), Elektra and Chrysothemis (Elektra) as well as Salome are some of her standards. Another field of activity, which the opera singer Eva Lindqvist has taken on with great passion and commitment after a serious illness, which has made continuing her active career among top-class opera singers impossible, is the instruction of young singers in the field of opera, operetta and classical concert singing. Young people who want to start a stage career, as well as already established singers who, as a consequence of wrong technique or illness, are in a vocal crisis, would like to prepare for a new role or would like to put the finishing touch on their vocal technique, will find advice, help and intensive training possibilities in her Vienna vocal studio. Professional and methodical vocal training according to the "Swedish-Italian method" enables an ideal training of the overall singer personality with specific regard to the strengthening of the vocal system, the vocal chords and the diaphragm muscles.